Digital Marketing AgencyBlogContent Marketing on Glovve.com gets a new boost. Glovve.com is India’s first online marketplace for moving. In an unregulated industry of packers and movers that’s at best treacherous for customers, with widely varying costs for moving, Glovve is a welcome paradigm shift. Glovve has already aggregated over 40+ independent movers and packers across the country and this number is growing by the day. It has also vetted these moving agents against stringent moving criteria, and allowed them to compete fairly in the marketplace. Glovve’s technology centrepiece is a proprietary algorithm that is based on a few simple and minimal inputs from the customer. It calculates the cost of moving across several movers and presents a choice to the customer. The customer gets instant costs to compare, choices on movers who are trusted and verified, the ability to read up profiles and mover ratings/ reviews, and make a decision then and there. The whole moving decision is online, seamless, and comforting for the customer. The movers on the other hand get steady, profitable leads based on their inputs into the price algorithm and customer choices. Glovve handles the overall marketing for the move portal. Content marketing is a key element in this content strategy for Glovve and Pigtail Pundits is happy to be part of this project. 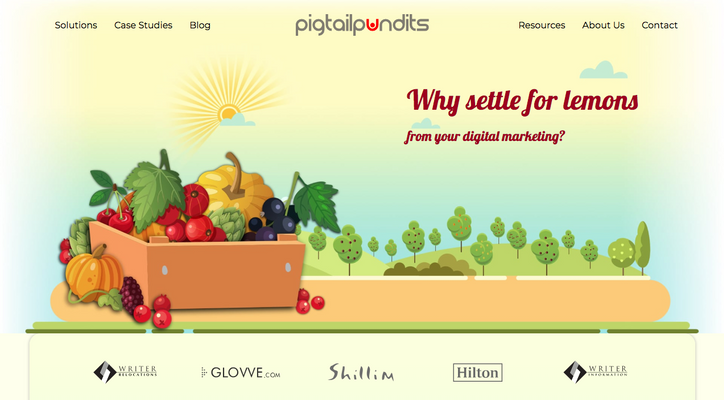 Pigtail Pundits has been tasked with creating and promoting content for Glovve on the web with a view to attracting moving customers and even agents to the portal for business. This is an exciting development for Pigtail Pundits and we look forward to a long and mutually beneficial association with Glovve.com.